You can only get away with socks and boxers as presents for so long. 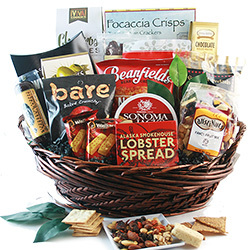 It’s time to up your gifting game and check out our gift baskets for men. 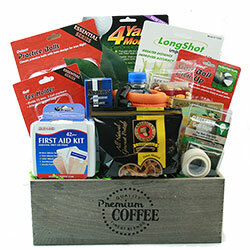 From golfing and grilling, to fishing and drinking, we’ve got manly gift baskets that are customized to suit the hobbies and preferences of your favorite men. 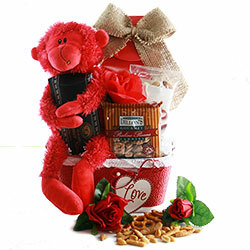 Are you shopping for Mr. Particular? 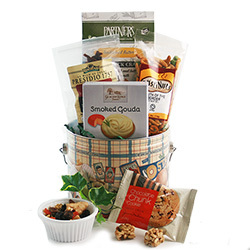 If our standard gift baskets for men aren’t quite the right choice for that special guy with specific tastes, not to worry. 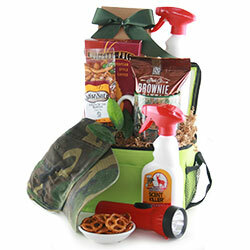 You can create a personalized gift basket for him using our easy Design It Yourself System: Custom Gift Baskets for Men. 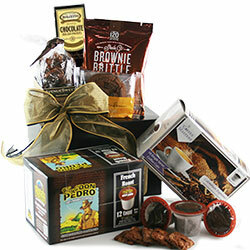 Whether he’s strong and silent or artistic and outgoing, we’ve got the perfect present for any type of man. 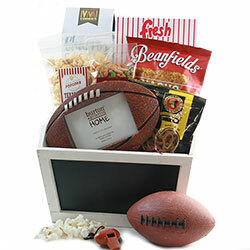 What better way to show a special guy -- father, brother, husband, or best friend -- that you care than with a surprise gift full of his favorite items. 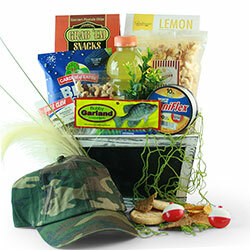 If you need gift basket ideas for men, we can help. 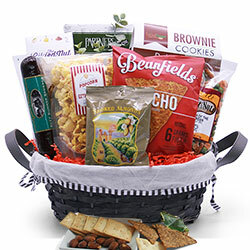 Start by browsing our most popular man baskets. 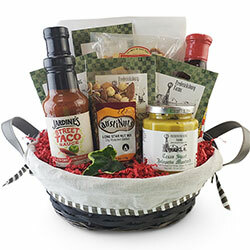 The Born to Grill Grilling Gift Basket is a perennial favorite with BBQ sauce, hot sauce, chili mix, and three stainless steel grilling tools. 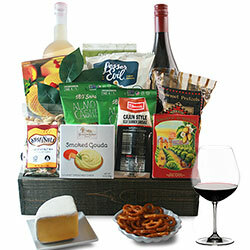 The Cuisine on the Green Golf and Wine Gift Basket is ideal for the guy who likes to hit the links. 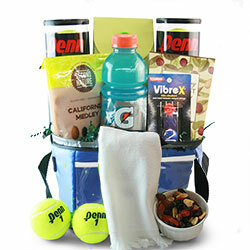 With a bottle of wine (your choice), gourmet crackers and cheese, golf balls, and a ball cleaner, you’ve got a basket that’s sure to make any golfer happy. 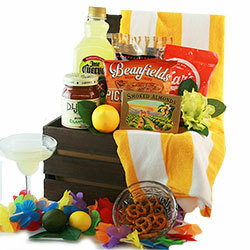 And don’t forget about the Top Shelf Margarita Basket. Maybe you know a man who has been trying to master the art of creating the perfect margarita? 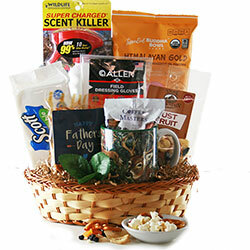 Help him reach this important goal with a mens gift basket comprising margarita mix and complimentary sweets such as smoked almonds and white cheddar popcorn. 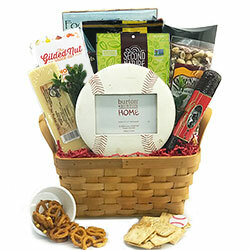 If none of our pre-designed man baskets strike your fancy, you can also create a custom basket. 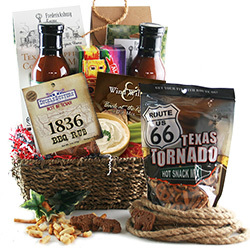 The design your own process starts when you select a theme, such as Gourmet, Wine Enthusiast, or Flavors of Texas. 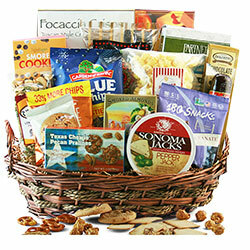 From there, you can choose a basket size and budget range. 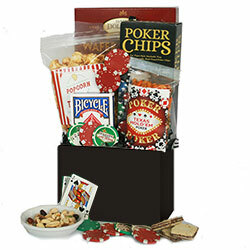 Next, you select the container itself and begin to fill that container with a variety of products that are separated into categories. 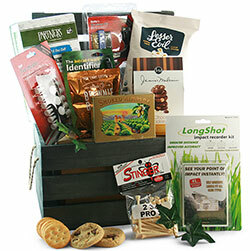 All the products you’re choosing from have been carefully curated by our team to not only match the theme, but also to complement each other. 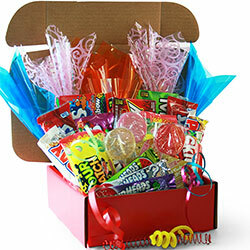 This is all done online -- it’s easy and fast, while still being incredibly personalized. 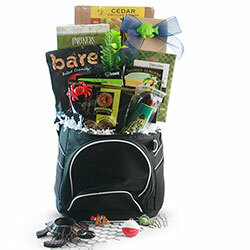 Our gift baskets for men come in different sizes, themes, and prices. 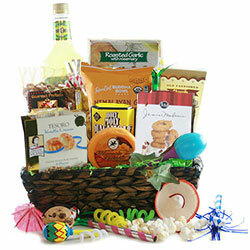 There are a variety to choose from, not only the options we mentioned above. 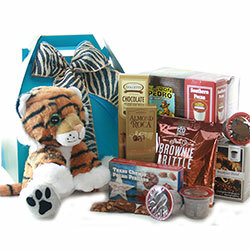 Because this type of gift is so versatile and thoughtful, you are sure to find an ideal present that will make the recipient very happy. 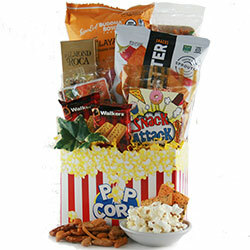 Know a film buff? 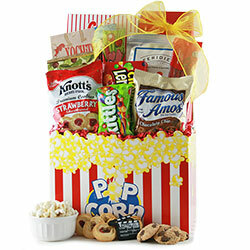 Check out the Movie Marathon Movie Gift Basket. Does someone like to be on the lake with a fishing pole in hand? 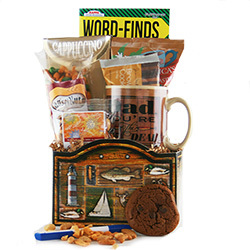 The Hook, Line, and Sinker Fishing Gift Basket might be the perfect lure for him. 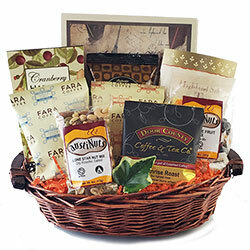 Or what about a friend who’s a caffeine fiend? 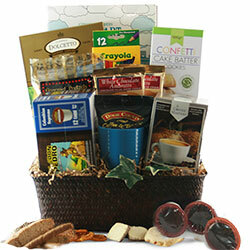 Send him the Coffee Cluster K-Cup Coffee Gift. 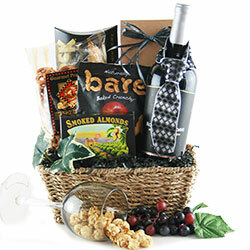 We also offer optional add-ons for our Gift Baskets for Him. 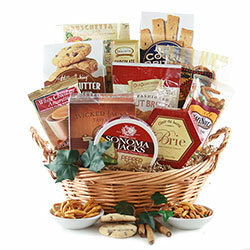 These range from mylar balloons and mugs to frames and gourmet food. 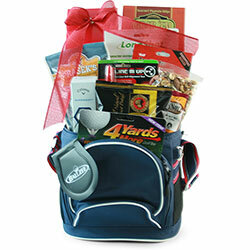 You can add all the personalization you want, and the guy receiving this gift will certainly feel special. 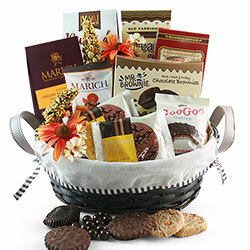 If none of our pre-designed man baskets strike your fancy, you can also create a custom basket. 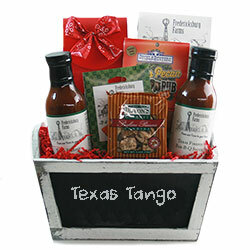 The design your own process starts when you select a theme, such as Gourmet, Wine Enthusiast, or Flavors of Texas. 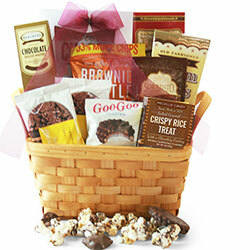 From there, you can choose a basket size and budget range. 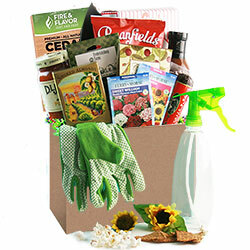 Next, you select the container itself and begin to fill that container with a variety of products that are separated into categories. 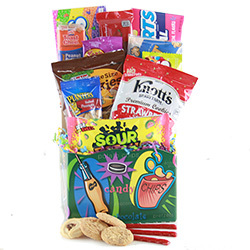 All the products you’re choosing from have been carefully curated by our team to not only match the theme, but also to complement each other. This is all done online -- it’s easy and fast, while still being incredibly personalized.